I'm new to LaTex and I'm setting a book I wrote some time ago; a collection of tunes, each with a short paragraph or two of text. I've scanned the music, rather than typesetting it in MusixTex, because I originally hand-wrote it, and I like the look of it as it is. The width of the staves should be 18.7cm, or 530pt. I am happy to leave the text at its default margins, and I certainly don't want to make it as wide as the music. Unfortunately, the images are not always exactly the same width as each other, because the scans were trimmed and there is a varying amount of matter to the left and right of the staves. This means I need to adjust the width and position of each image individually to make sure the staves are of consistent width, and positioned correctly. What I'm trying to do is to insert each image between its chapter heading and the text in such a way that it is consistently placed and sized, taking into account left and right pages. 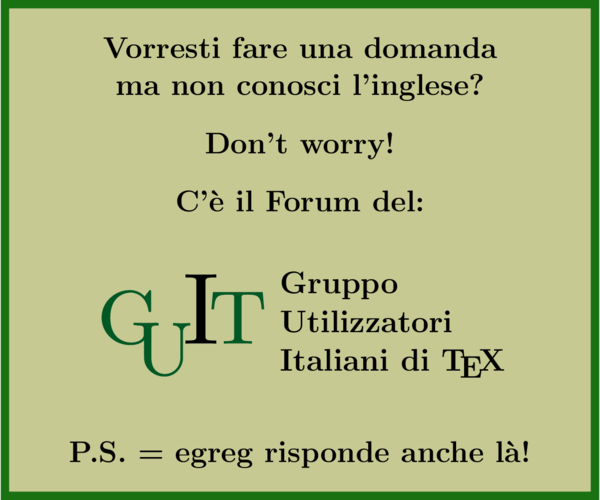 What I need, effectively, is a pair of guides for the images which are independent of the text margins. I was hoping I could use a box with a visible border, fixed at 530pt width, put the image inside that, move and resize the image appropriately within the box, then turn off the visible border when I'm happy. Or, just add a pair of vertical rules 530pt apart, positioned to take into account odd and even pages. But I haven't managed to work out how to do either of those things. Inserting, placing and resizing the images are all fine, I just can't work out how to know exactly where to put them! Perhaps you are looking for something like this? 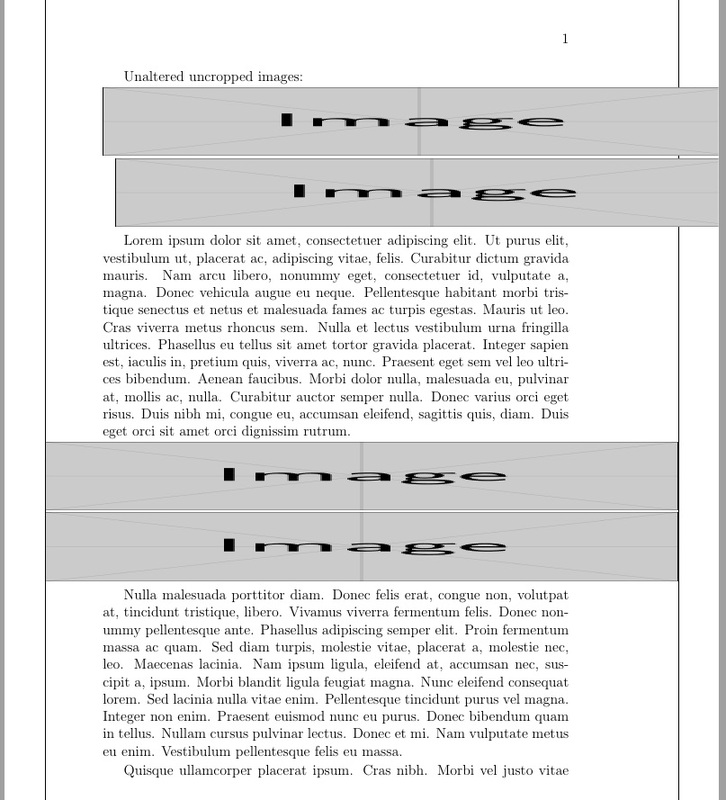 First I show two 530pt images "centered" by LaTeX, the 2nd image with some croppable space around it. This produces images not only misaligned, but because the image width exceeds the margins, they are also not actually centered, either. I instead, introduce \shiftimg that takes a horizontal shift and an uncropped image as its two arguments, which allows the two arbitrarily cropped images to be lined up. Furthermore, by incorporating a \pageshift that flip-flops positive and negative on succeeding pages, it will keep the page margins the same on even and odd pages, with the same invocation arguments. 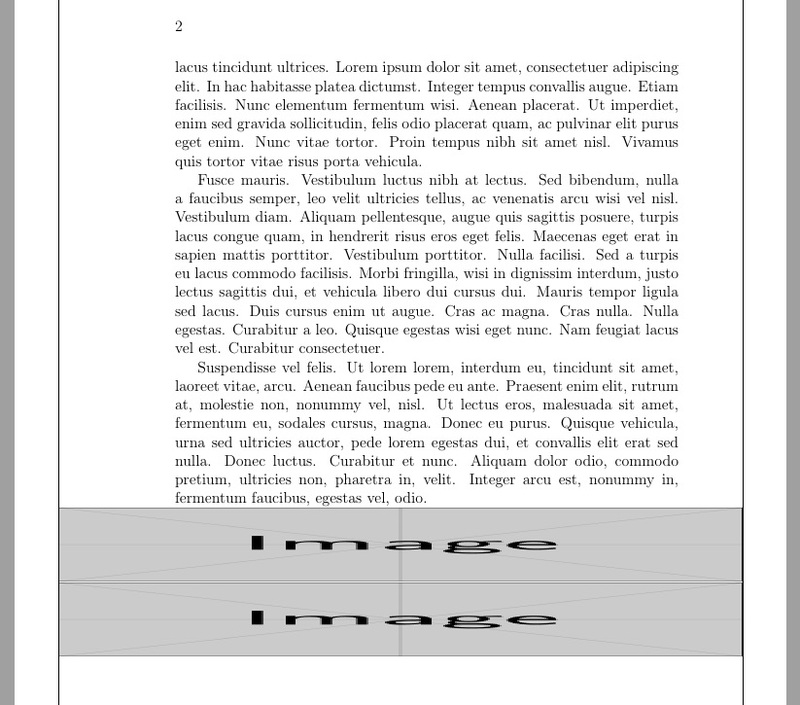 This is very useful, if repagination repositions an image to an adjacent page. Lastly, I put in commentable code that lays out vertical rules spaced 530pt apart on the paper, symmetric to the paper edge. This allows you to fine-tune the adjustment. % THESE ARE LaTeX DEFAULTS; CAN CHANGE IF NEEDED. Not the answer you're looking for? Browse other questions tagged graphics boxes rules vertical or ask your own question. Image behind and beyond crop marks?